Party rant: My party throwing love dates back to high school..well maybe even elementary school. But in high school I threw parties for my friends all the time...and no not the typical high school party featuring red cups and scantily clad girls. I remember a "I just Got My Braces Off" party, an "I Don't Have a Valentine" party, and a surprise party for my friend Lacey featuring a rice krispie treat replica of the honoree (created by another dear friend). I also remember having parties where I created scavenger hunts or gave silly gifts to my friends. (I think I gifted one friend a mop...because well, she wanted one!) Lately, I have been stepping up my themes for a couple formal parties...There was my wedding which was a blast. But then a couple years ago, I threw a bridal shower with a picnic theme and plums and lemons :) followed by the bachelorette party where we decorated silly undies. In the past year, I threw Ben's architecture graduation party and my friend Lacey's "Fall In Love" shower. This recent was my favorite theme-wise...and I am happy to share it. 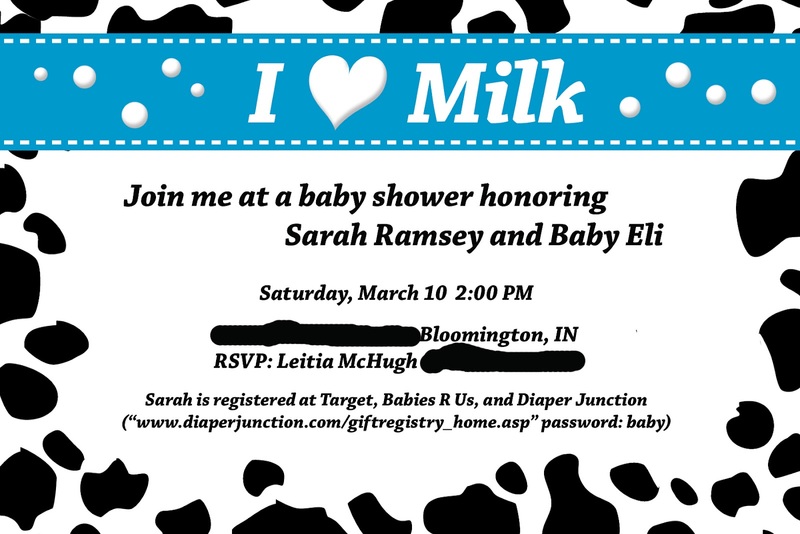 This was a baby shower with the theme I Love Milk because babies loooove milk if you did not know. 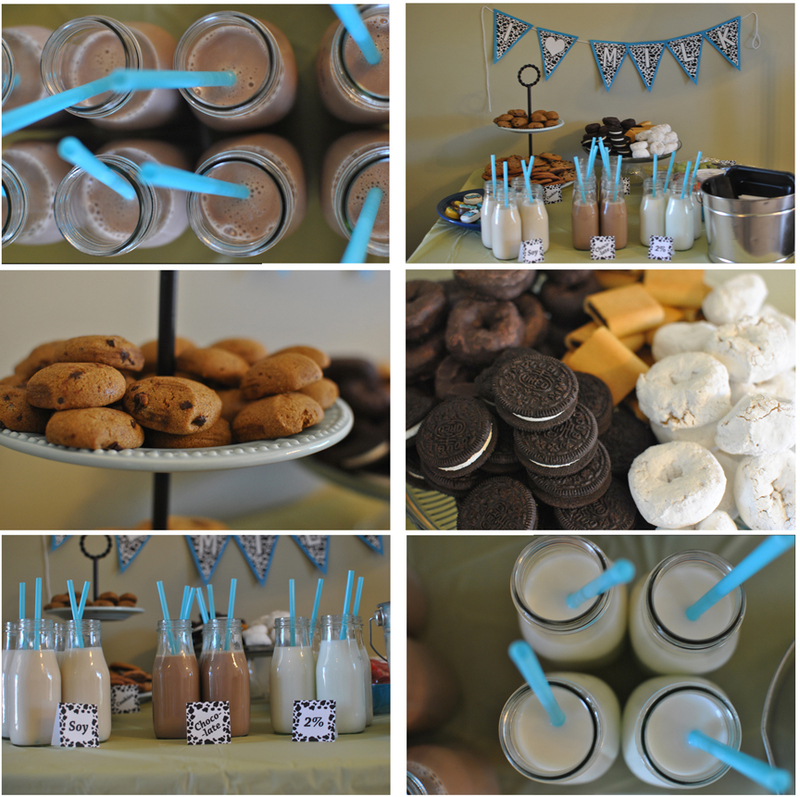 I was inspired by this party featured on my favorite party blog, Hostess with the Mostess. I hired my own personal graphic designer to create invitations and other party goodies. (AKA I asked my talented hubby to make some stuff :)) I also enlisted the help of a couple friends to help me drink store bought starbucks frappecinos so I could create the look of old fashioned milk bottles. And utilized the help of trusty dusty GooGone to get rid of the labels. The food was of course cookies and donuts because that is what you eat with milk. You will notice another favorite element...my "milk mustaches." Mustaches are all the rage right now...and I LOVE IT. 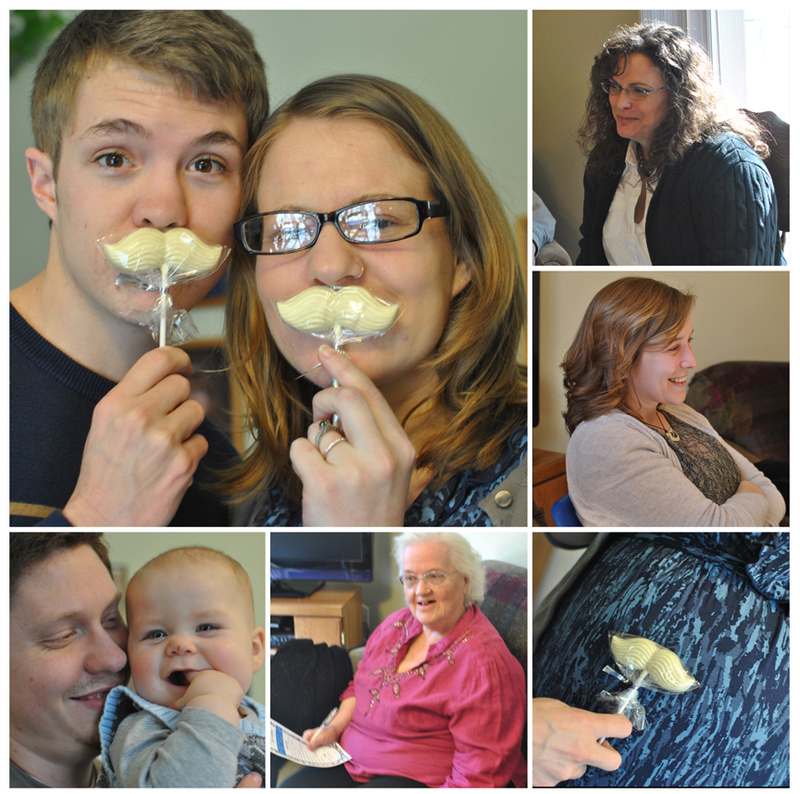 I used mustache lollipop molds and white chocolate for those. For activities, Ben designed personalized "Dear Eli..." cards where guests wrote notes about their hopes and dreams for Eli as he grows. You can find a free non-personalized printable version here. We also played a game where baby food was passed around in diapers. This game was prepared by a friend of the honoree...and I won of course because Levi eats that stuff every day. The best part was the decorating of onesies. 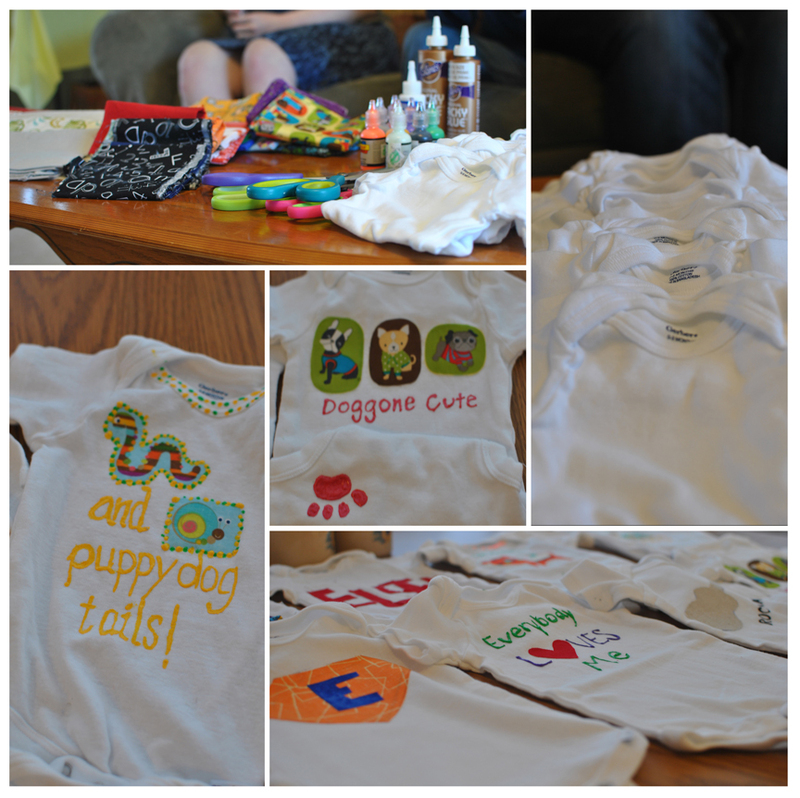 We used scrap fabric, fabric glue, iron on adhesive, and puffy paint. These guests were very creative! Oh yea..there were people there too. Even a few men: The future Daddy, future Grandpa, and my two awesome fellas. Now I am looking forward to Levi's First Birthday Party!